Rio is a collection of fizzy wines made for everyday easy drinking. With the aim of making wine fun, Rio brings you a range of different wines to suit your every mood! Across Europe, spritzer is a popular wine-based chilled beverage. A thirst-quenching mix of wine and soda water. An easy, anytime drink best enjoyed in the summer months, at parties and festivals. Whoever said wine had to be serious? Presenting India’s very own range of wine spritzers from Rio. These fizzy refreshing coolers have wine infused with club soda and a dash of fruit in three exciting flavours. A Rio Spritzer is perfect for turning down the heat and turning on the fun! Double the fun with 8% alcohol - other RTD's are at 4.5% alc. A new concept in party drinks. 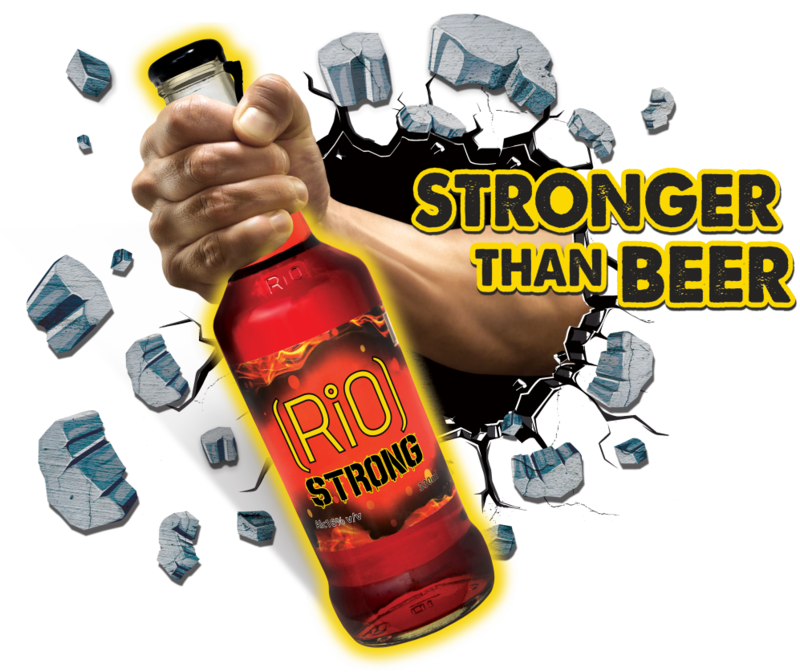 Rio Strong is India’s first fizzy port wine. Not only is it really strong with 16% alcohol, it is also fizzed up making it a deliciously refreshing party starter. Calling all the strong beer drinkers to try something different and exciting. 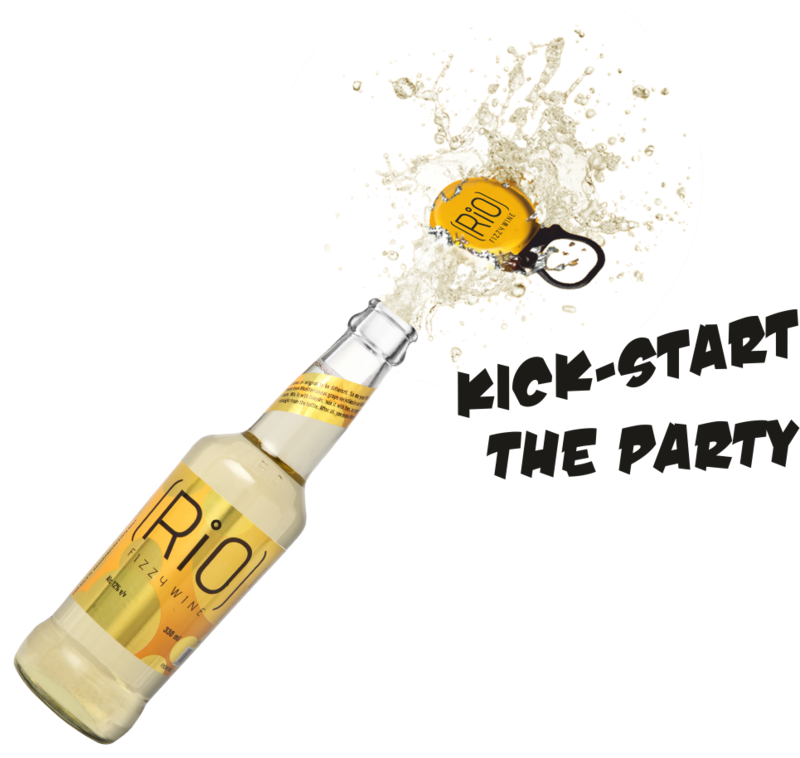 Rio Fizzy was the first offering of the Rio range, a cool, fun party wine that can be enjoyed by all. A white wine with a cool 12% alcohol with refreshing fizz, a fun and easy way to approach wine. Sparkling wines in Italy are a rich part of the local culture and life. From crisp, aromatic Prosecco to flavourful Lambrusco and fresh, sweet Asti, Italian sparkling wines are varied, tasty and inviting. Usually made in the Frizzante (slightly sparkling) or Spumante (fully sparkling) styles, they embody the celebratory spirit of Italian life. Popping an Italian bubbly is the perfect way to relax, socialise and enjoy the good things in life. 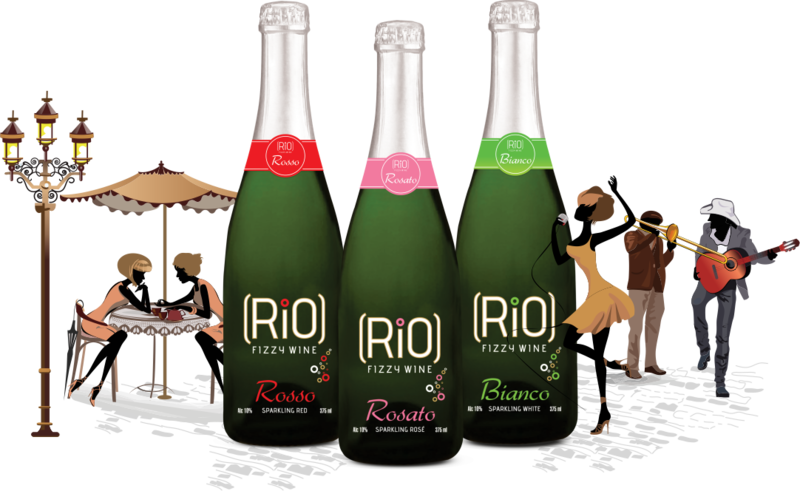 Introducing a truly refreshing array of classy sparkling wines—the Rio Italian Collection. Made in the style of Italian bubblies, these wines are perfect for enjoying in warm weather or at the end of a long day. Crafted in a semi-dry, Frizzante style and with low alcohol, they are great for everyday drinking. Enjoyed solo or with friends and food, their fresh, fruity appeal keeps things light and relaxed. India's first red sparkling wine! Its berry-rich flavours delivered in a lively bubbly are great for taking the edge off in the heat. An exuberant blend of Shiraz, Cabernet and Merlot, Rio Rosso is our tribute to Italian red sparklies for the Indian wine drinker. A numero uno blend of flavour and fizz. The smooth effervescence of this lovely pink sparkling wine is a delight to the senses. A spirited blend of Zinfandel and Shiraz, Rio Rosato's floral aromas and delicate strawberry flavours capture the magic of a quintessential Italian rosé. Tastes great with food and mixes well in cocktails. This refreshing, lime-zesty white sparkling is the perfect thirst quencher. An uplifting blend of Sauvignon Blanc, Chenin Blanc and Symphony grapes, Rio Bianco has fruity aromas, making it light and easy. All the thrill of a crisp Italian white bubbly captured in every bottle.